I'm learning how to make butter. It's actually quite simple, but as with all new things, it takes a bit of practice to feel comfortable with the process. Sometimes I get so caught up in the researching of a new skill, that I work myself up into thinking it's too complicated. And then, when I decide to put down the books and just do it already, I'm left wondering what I made such a fuss about! And so it was with my recent butter-making adventure. note: try to refrain from licking the buttery goodness (from your utensils, fingers...the bowl) between each step. Do as I say, not as I do. 1. 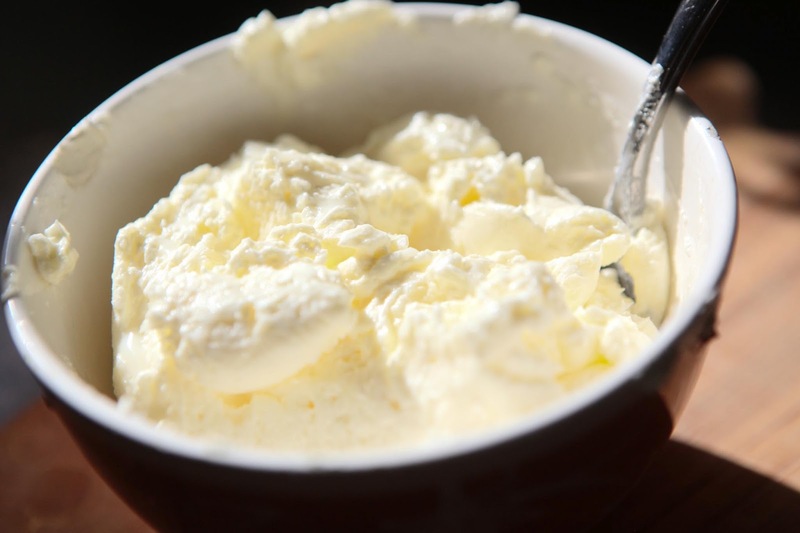 Let a pint of fresh heavy cream sit out on the counter for an hour or so until it comes to room temperature or thereabouts. 2. 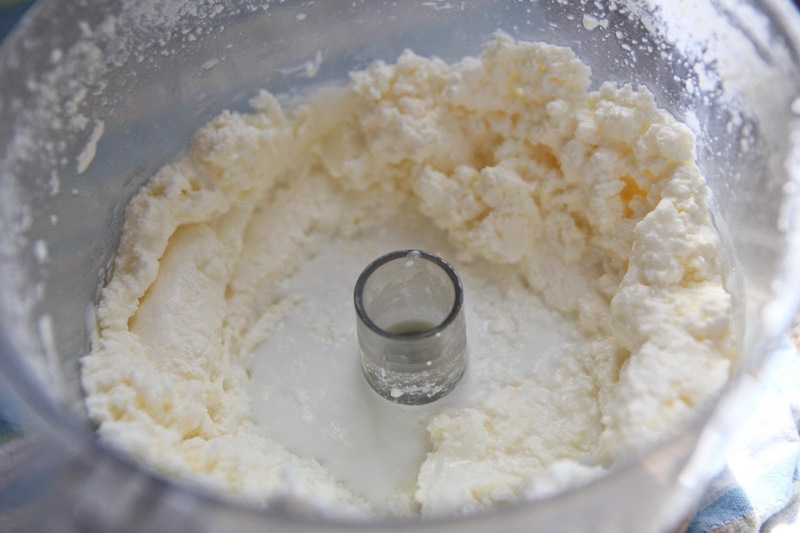 Using a food processor, blend the cream for 5+ minutes until the solids and liquids separate. 3. 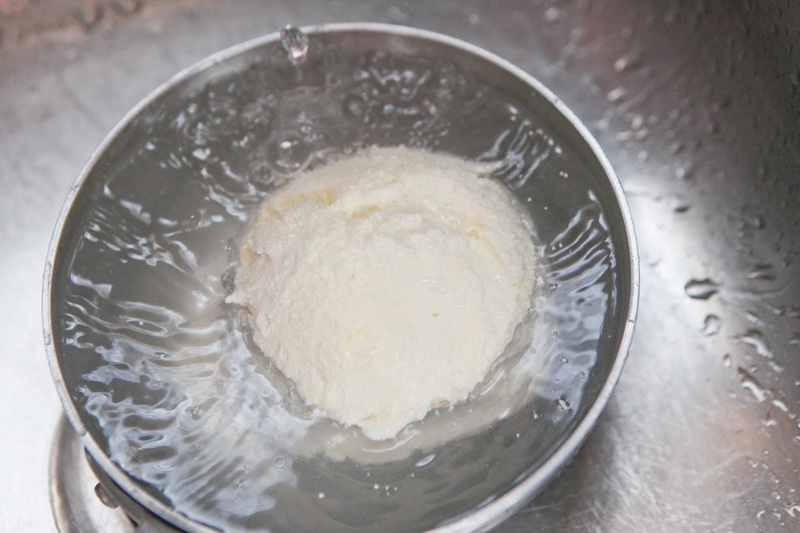 Drain solids in a strainer, over a bowl, for a few minutes. 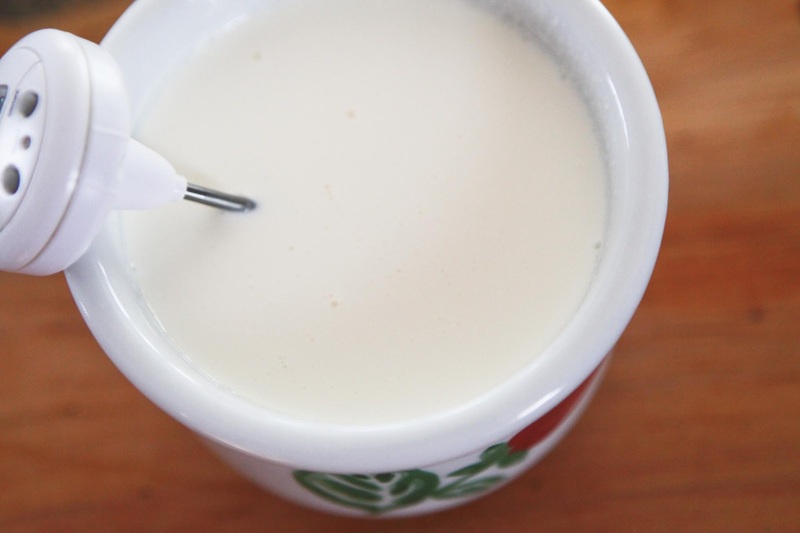 Collect and save the liquid from the bowl - it's buttermilk! 4. 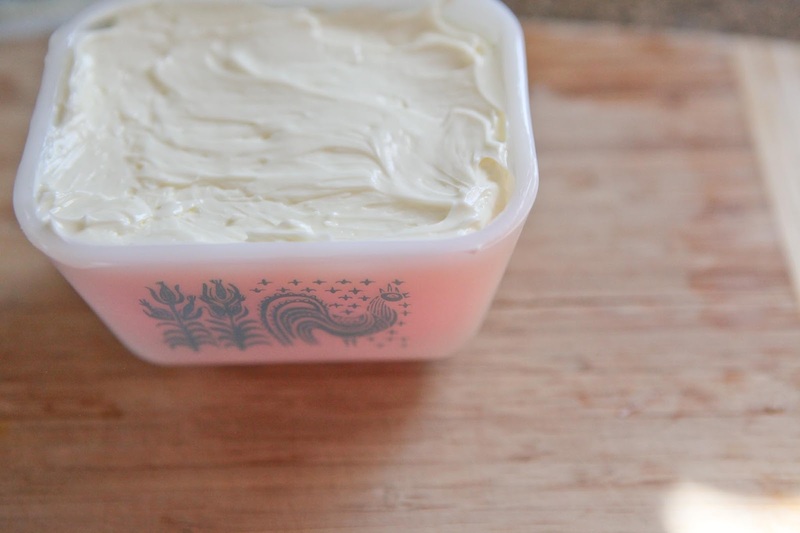 Transfer the butter to a bowl and rinse it a few times. 5. Stir in 1/4 teaspoon of salt. 6. Squeeze as much remaining liquid out of your butter as possible. I'm not sure what the best way is for this last step, although kneading and squeezing it with my hands seemed to get the most liquid out. It was a bit slippery, though. But in the end, there it was: Butter! Lick away. Yum! A slice of toasted bread and it's the perfect snack. Love making butter. 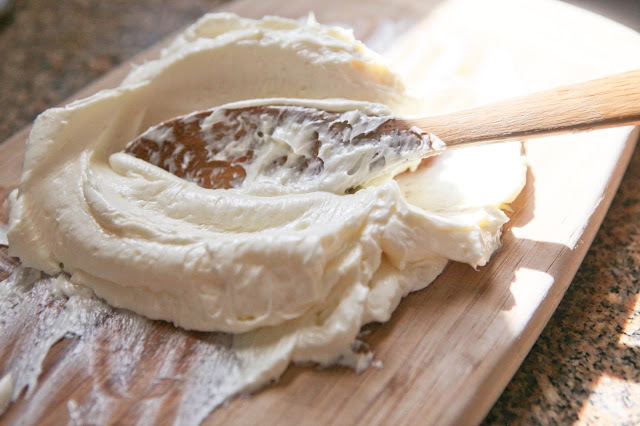 I love homemade butter and yours looks delicious! I never feel guilty for eating homemade butter! Thanks for sharing the process with us! Good for you Jaime! Another step to self-sufficiency. It looks wonderful. Dang girl, you have the CUTEST dishes I have ever seen!! Goat's milk butter - now that would be something! Yeah! We made butter a few times and BOY was it good - so good in fact, we needed to bake bread on the spot to double to goodness factor. I used the hand kneading approach as well with great success :) Great job! How wonderful. 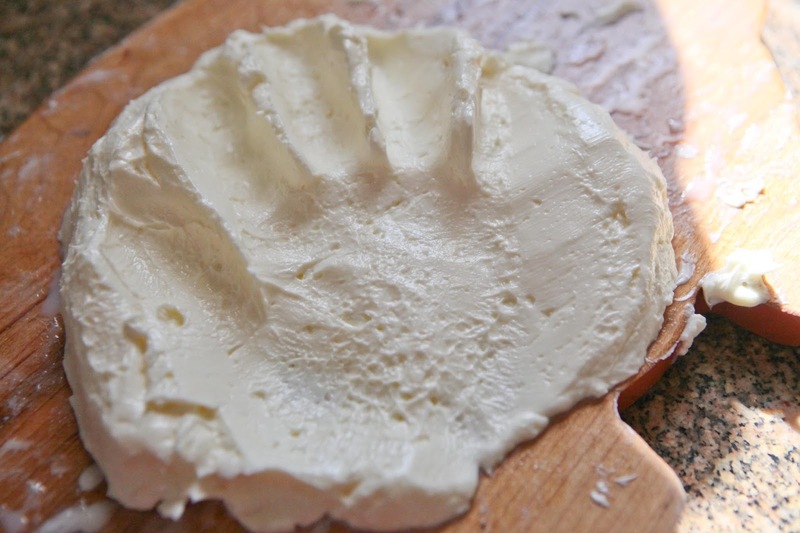 Home-made butter. Now there's something I haven't done before! That's something I didn't think of! The only thing is I noticed even when letting it sit in the strainer, there was quite a bit of the butter that collected on the underside - I think from the weight of the mass. But I may give the cheesecloth a go. Thanks for that idea. I remember churning butter with my grandmother as a young girl but as an adult I never realized butter is THAT simplified! I will definitely be trying this! How wonderful! If I had more time, I'd like the churn it that way! The food processor does make short work of it, though. Last year my son and his kinder classmates made butter by pouring cream into baby food jars and shaking away! They loved it! The food processor is a great idea. I also know people (who were making large quantities of butter) to put it in a large bucket and do it with a paint mixer attachment for a drill. When I've made butter, I knead it by hand while running it under cold water. That keeps the butter from softening too much and helps rinse out the buttermilk. What about using a marble pastry board as you would for rolling out pie crust or cookie dough? I am so excited to read your post. I am currently researching raw dairy sources in my state as we are not able to have our own cow. I hope to be following your directions to make butter soon. Butter paddles?! With grooves?! Genius. Do you ever get the feeling you're trying to reinvent the wheel? ;) Thanks, Sophie! 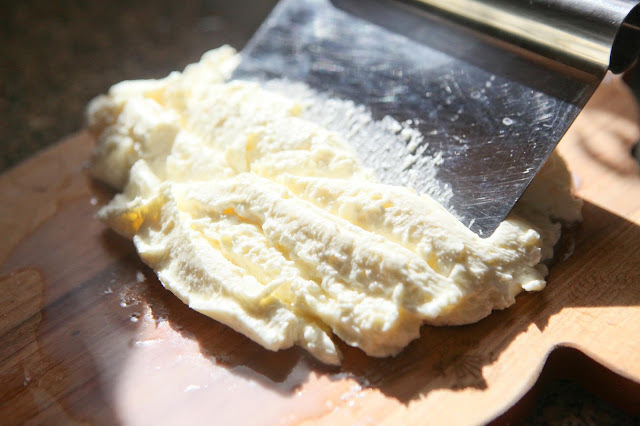 I love making butter in my food processor - so fun....try mixing some fresh herbs into your fresh butter - it is yummy; and save the leftover buttermilk for cooking too! Thanks to you, I ordered my vanilla beans and am going to try to make my own home-made vanilla...just waiting on them to come in now! Mmmmm....I bet homemade vanilla extract mixed with the butter would be perfect on top of pancakes. "Sometimes I get so caught up in the researching of a new skill, that I work myself up into thinking it's too complicated." My life in a nutshell, darling. You have made this sound so easy! I may have to order some cream from the milk man and try this in the next couple of weeks. I imagine it would taste dee-lish with some honey mixed in for spreading on toast in the morning. wow! I've always wanted to try making butter!!!!! Does Raw Cream work best for this? Ooh...lovely! I used to make butter when we lived in Kansas City and could get raw milk. It was much better than store-bought butter! I wish it was easier to get the raw stuff here...do you find the taste of homemade butter is still superb even when you use pasteurized milk? When our kids were little we used to let them make the butter every Thanksgiving. We would put the cream in an old peanut butter jar and they would take turns shaking it. It kept them bouncy and happy and we got freshly yummy butter at the end. I wonder if there is a way to do this with the goats milk I get? 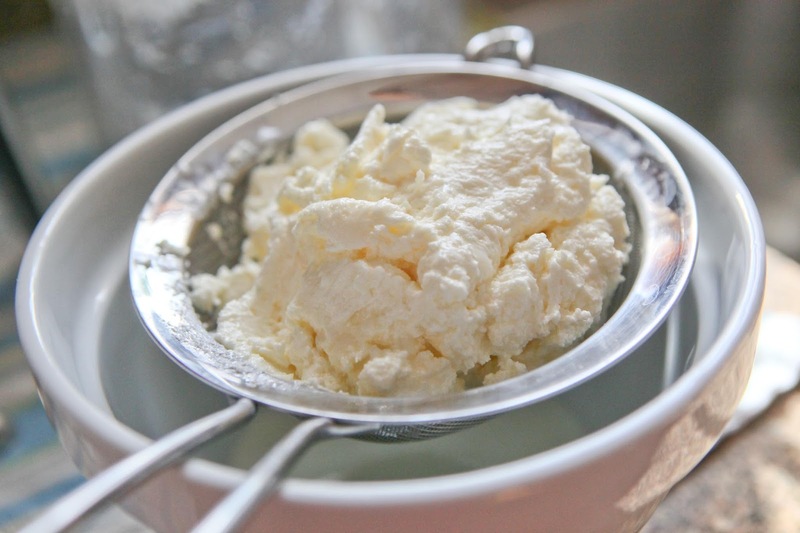 Since goat's milk is naturally homogenized, I wouldn't know how to separate out the cream. Any thoughts? I've heard of a special piece of equipment that extracts the cream from goat's milk, but I'm such a novice at this dairy thing, I don't know! I hope someone else has some helpful ideas for you. 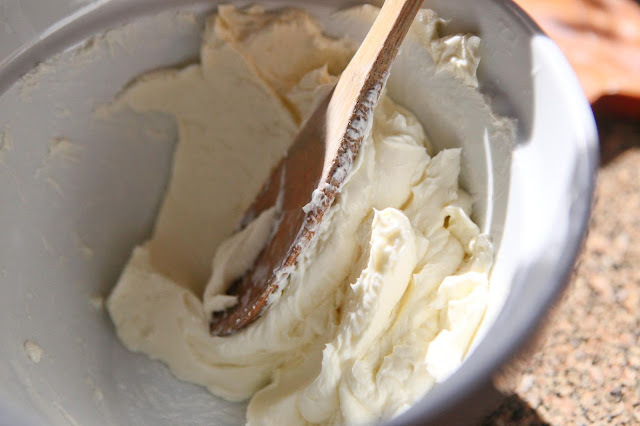 I have been wanting to try this for a long time, but I had heard that you couldn't use the cream from a grocery store...that it had to be fresh from a farmer. So far, I haven't had any luck finding a source around here. I'm going to keep looking though. Thanks for sharing. Also thanks for commenting on my blog, it led me to your blog, which is new to me. Hi Natalie! I think it might be worth a shot, even with the grocery store cream. Perhaps just keep it refrigerated before and after you make the butter. Sometimes you've just got to use what you have and "bloom where you're planted"! Hi Natalie, I just thought I'd mention that I use store bought cream that is local to where I live and I have had great success with it. You made this sound easy I just had to try it. It was so easy. I used cream delivered today from the milk man so in reference to Natalie above, it is in a sense organic grocery store cream, but just delivery. I just put the cream in the food processor and in less than five minutes I was draining the liquid. After I was done kneading the liquid out I put in a Tbsp of honey. Of course I had to try it out immediately on some toast. Dee-lish. Thanks! Yay! It's addicting ;) I'm going to try your honey idea - sounds perfect! Well I just thought I would let you know that I have just made my third batch of butter in so many weeks and we are loving it. It really is so simple and I am finding so much cheaper than commercial butter.